Becoming a property investor for the first time can be overwhelming, especially if the sales process has taken longer then expected. 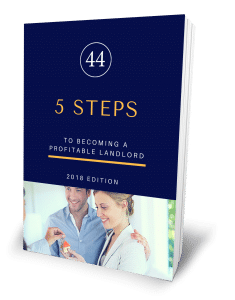 We often get new landlords ringing for advice about how to lease their property for the first time, so we thought we would share 7 tips to help get your leasing journey started. This is such a valuable and underrated factor to property investment. Landlord insurance covers you for financial loss under a number of circumstances. They range from water damage, tenants who can’t pay rent, tenants who abscond from the property, sudden death of a tenant, plus many more. The legalities of your landlord responsibilities can sometimes become costly; insure your property. Tenancy laws in each state are similar but can sometimes vary. It’s important that you are familiar with your state’s regulations to ensure that you are well-informed, which will be particularly beneficial for conflict resolution. Consider your investment property as a ‘bricks and mortar’ savings account, rather than as though someone else is living in your property. Finding the right tenants for your property is just as crucial as finding the right property itself. You’re better off with a slightly longer vacancy than quickly approving a tenant who will abuse the property and cause headaches and financial loss. It’s important to keep your rental income expectations in line with the current property market. This includes not inflating the price drastically after carrying out renovations and improvements. You will be able to increase your price somewhat if the property needs a makeover, but don’t expect tenants to pay a significantly higher amount just because you spent big bucks on fixing it up. Also, lower rent prices are directly linked to lower vacancy rates, and there are tax benefits to negatively-gearing your property. Your landlord responsibilities include carrying out maintenance and repairs in a timely manner. But what you may find surprising is just how quickly these expenses can add up. You need to have funds available to fix issues as they arise, otherwise you may end up in breach of your contract. And finally, if you feel overwhelmed by all of the above, rest assured that a good property manager will be there to guide you through the process all the way. Property managers are knowledgeable and experienced. They can handle the issues you either don’t have time for or don’t have the required skills.